Go for the gold, in your own backyard! Take advantage of what's left of summer! As the summer winds down and the last BBQs and patio parties are being scheduled, add in your very own backyard games for a friendly competition. Each game is made out of recycled Old Orchard containers! Some of these games may look familiar and bring back memories of your childhood. The best part is, they are all super easy to make and there is no training required! Everyone can play solo or create teams of two or three depending on how big your get-together is. Have each teammate participate in each game and see who can earn the most points! The team with the most points at the end, wins! 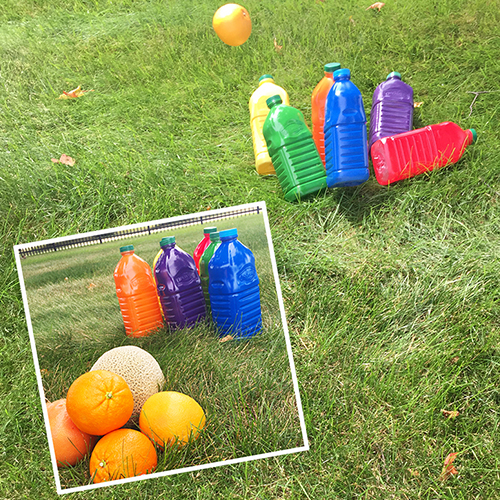 Test your hand-eye coordination out with Old Orchard Fruit Shoot! To set up, cut the tops off five Old Orchard 64oz juice bottles and number them 1 through 5. Place the numbered containers in a line. 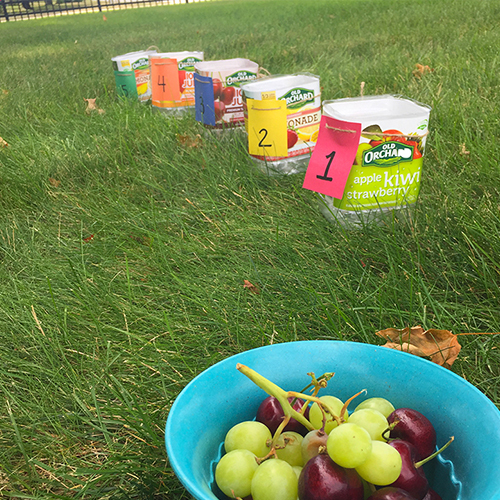 Players will attempt to toss fruits into each consecutive bucket. Grapes or cherries seem to be the best size for these containers (they also make for a great snack when it's not your turn). Draw a line a couple feet back from the first bucket that the players may not cross. Make this line farther back to make it more challenging. Each person gets to take two shots at each container, starting with the closest one and working toward the farthest. Award points for each shot that lands in the bucket -- with points equaling the bucket number. The highest score wins! Bowling may not be your strong suit, but with this twist and a little splash of color, you may be better than you thought! To set up, spray paint six empty Old Orchard 64oz juice bottles to create fun colored bowling pins. Fill each bottle with an inch or so of water. To make things a little more interesting, add different amounts of water to each bottle, making the bottles harder to knock over. With the spray paint, no one will be able to tell which bottles have more water in them. Instead of a bowling ball, use an assortment of round fruits to try to knock over the bottles -- try canteloupe, grapefruit or oranges. Play according to traditional bowling rules, or make up your own! 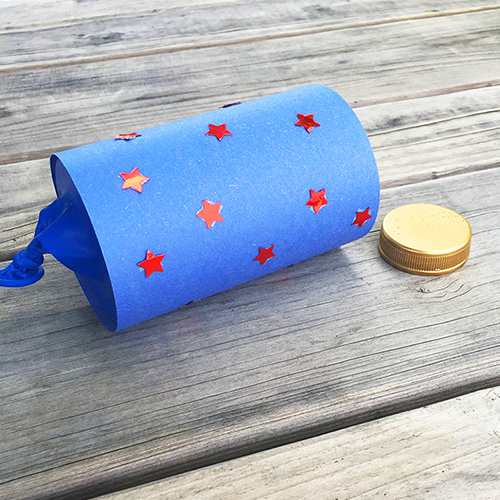 You may recognize the Cap Catapult from our 4th of July "Confetti Popper" -- only this time, instead of launching confetti, you can use these Cap Catapults to see who can launch their bottle cap the farthest. Whoever launches their cap the farthest gets 5 points, second place receives 3 points, and third place receives 1 point. Add all of your teams points together and see who comes out on top! Don't worry, we didn't forget the prize! Spray paint your extra bottle caps gold and attach ribbon to the back with a hot glue gun. 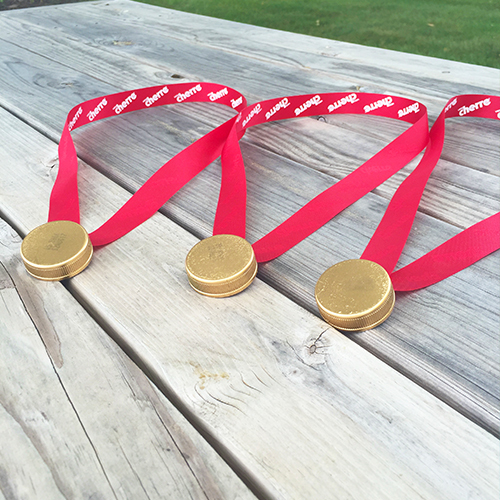 See who comes out on top and honor them with a gold medal, or hand one out to everyone for their participation! 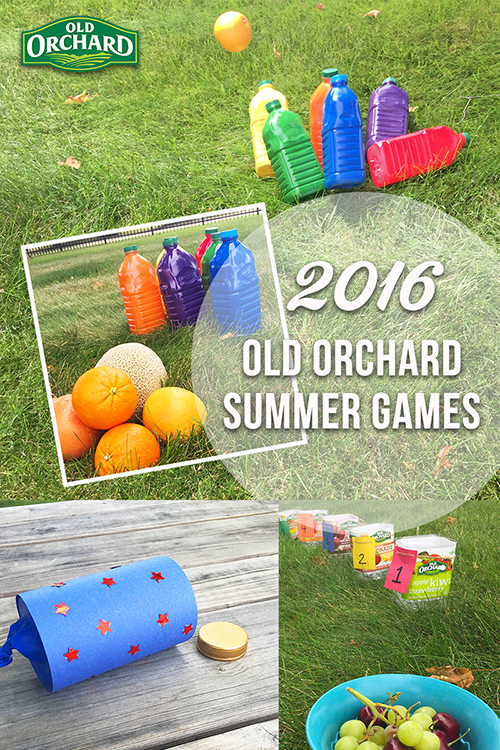 Feel free to post and share photos of your own Old Orchard Summer Games with us on Facebook, Instagram or Twitter!